Tantalise the tastebuds at Julaymba Restaurant. 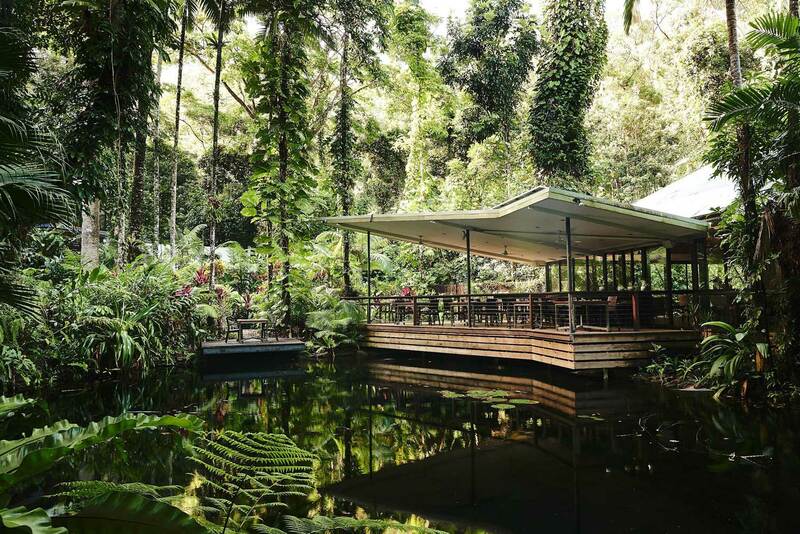 Organic and seasonal cuisine served in a rainforest setting. View our breakfast and dinner menus. Find 15 eco-friendly bayans emersed in the canopy of the World Heritage-listed Daintree Rainforest. Treat yourself to a rejuvenating mind, body and soul experience to enhance your sense of wellbeing. Daintree Ecolodge, situated in the heart of the magnificent Daintree Rainforest, offers sustainable luxury in a breathtaking location. Our tropical retreat is the only boutique accommodation in the World-Heritage listed Daintree Rainforest, boasting 15 eco-friendly bayans in an awe-inspiring setting which will revitalise all your senses. Wake up to the sound of the birds in the canopy above, take in the majesty of the ancient tropical wilderness and discover the Ecolodges’ private and pristine waterfall on a leisurely walk through the enchanting rainforest. Escape from the hustle and bustle of daily life and rejuvenate your body, mind and soul in a breathtaking landscape where time appears to have stood still. Take time to reflect and reconnect with those you love in new and meaningful ways to discover the true value of life. Allow this unique tropical retreat to change your perspective of the world. The perfect way for avid bird watchers to explore the Daintree. Immerse yourself in a 3 night cultural journey. A 3 night package designed to showcase the natural wonder, the Daintree Rainforest. We have teamed up with Rainforest Rescue to support them in their efforts to protect the Daintree and halt the effects of deforestation. Home to approximately 430 bird species, the Daintree is a major attraction for bird watchers far and wide. Our Ecolodge is the perfect accommodation to retreat to after a long day of exploring the Daintree and surrounding regions.